S'mores gooood. Cake gooood. This cakes was for a quarterly office birthday celebration. 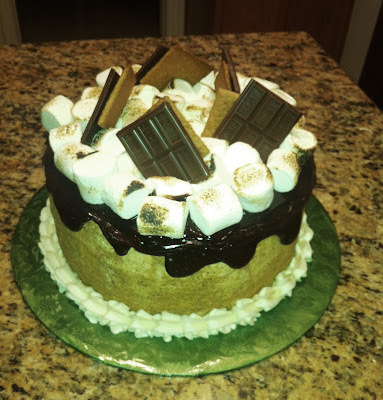 Vanilla cake with layers of marshmallow buttercream, chocolate ganache and graham cracker crumbs, finished off with more marshmallow buttercream and crumbs, more ganache, toasted marshmallows and some chunks of Hershey's chocolate bar and Graham crackers. I just love toasting marshmallows with my culinary torch, so I may try to think up other recipes that need toasty marshmallows! 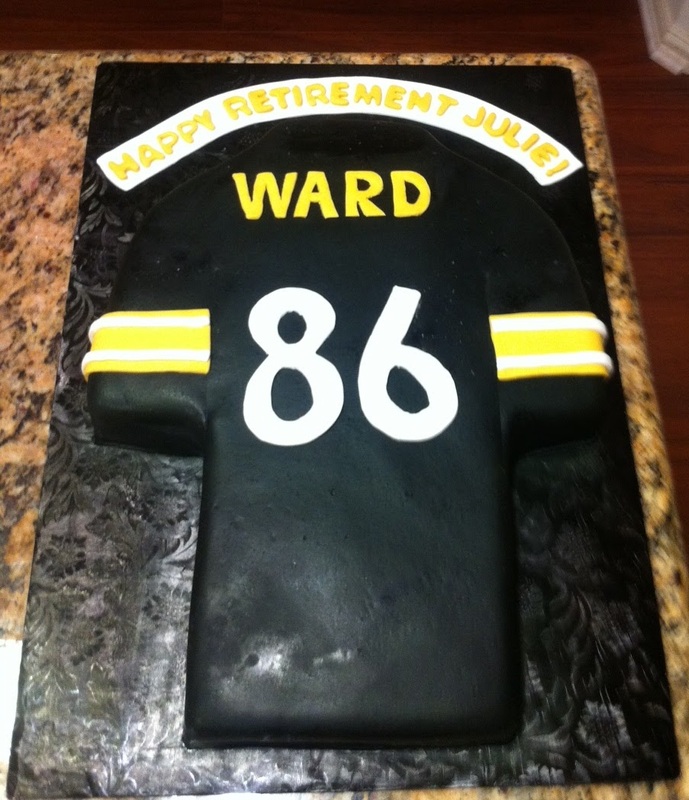 What better way to celebrate your retirement than with a cake to match Dancing With the Stars winner Hines Ward's jersey? This cake was for a super Ward fan to celebrate her last day. My friend Mel is a grade school teacher, and she wanted to finish out the school year with a luau party for her kids. 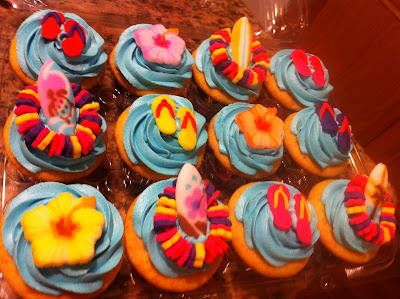 I made these vanilla cupcakes decorated with flip flops, leis, hibiscus and surf boards for the party. The flowers and surfboards are sugar art from my local cake store, and I made the flip flops and leis from fondant. The vanilla buttercream was an ocean-blue color.